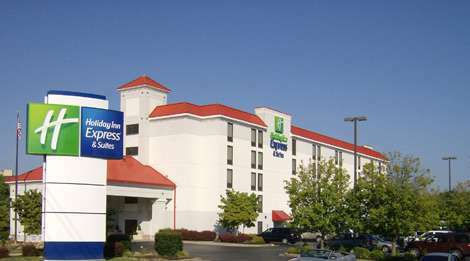 Holiday Inn Express & Suites, is located in the heart of action packed Pigeon Forge! Each of the105 interior corridor rooms are equipped with coffee makers, microwaves, refrigerators, hair dryers, cable TV, and electronic locks. The hotel also offers wi-fi internet and fully accessible facilities for persons with disabilities. Start each of your days with an enjoyable complimentary deluxe continental breakfast bar. There’s also a heated indoor swimming pool and whirlpool, outdoor sun deck and picnic area with children’s play area! Should you need meeting space for your reunion, wedding reception or company retreat, contact the group sales department at (865)286-1110.